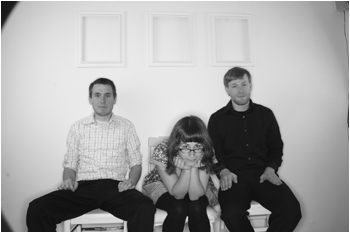 Lemuria is a three piece from Buffalo, NY. Bob from Shinobu is sitting right next to me trying to come up with adjectives to describe how good they are, but his vocabulary mostly just consists of “Niiiiiiice.” Basically, they are an awesome indie pop band in the vein of Superchunk, The Weakerthans, Jawbreaker, and Discount. They’ve self-released a bunch of EPs and 7″s over the past couple years (check out Alex’s label Art Of The Underground), and we’re proud to call them part of the Asian Man family.